By participating in the 2019 Boston Marathon® Jimmy Fund Walk presented by Hyundai, our team is making every step count toward the ultimate finish line: a world without cancer! Your support goes directly to Dana-Farber Cancer Institute’s unique 50-50 balance between cutting-edge science and highly compassionate care. 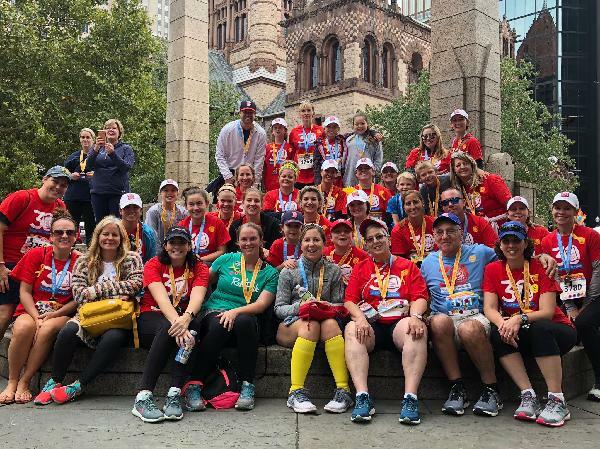 Funds raised through the Jimmy Fund Walk enable Dana-Farber leaders to enhance programs and initiatives that serve pediatric and adult patients and their families. Thank you for supporting our team in the Boston Marathon Jimmy Fund Walk. Together, we can conquer cancer! Cheech Clan supporting the Rak Pack!!! Every dollar raised helps fuel Dana-Farber Cancer Institute's 50-50 balance between lifesaving research and total patient care.